I have often heard it said, and have said myself, that perception is reality – that we choose in each instance how we view a situation or a person. Then I read this quote from Victor Frankl, and I stop, go a bit deeper into myself, and am amazed. What a change it might make in my life if I remember to view everyone and everything as a miracle. How might I be more appreciative of all that I see, all that I have, and everyone I encounter? How might this appreciation fuel me to treat everyone and everything differently – with more awe, compassion, possibility, and collaboration? Is my child a miracle, even when I can’t stand what she’s doing? I think so. Is my colleague a miracle, both when he exceeds my expectations and when he falls short? I guess so. Are my business challenges miracles, as are my successes? What a mind-altering concept. Today I will remind myself to view everything as a miracle, and to see what miracles it brings me. What in your life seems less than miraculous to you, and how could you change your attitude to look at it differently? Challenge yourself for an hour to view everything as a miracle, and see what happens. 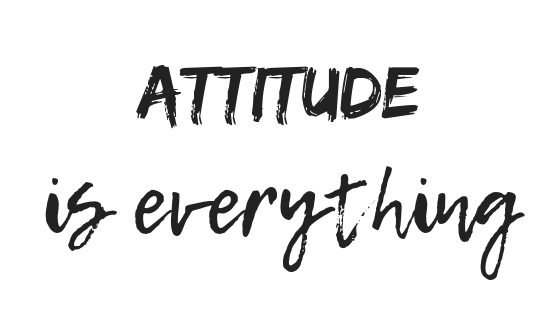 Where has an attitude change made a difference for you? For help in choosing the attitude you want, contact Lisa at lkohn@chatsworthconsulting.com.